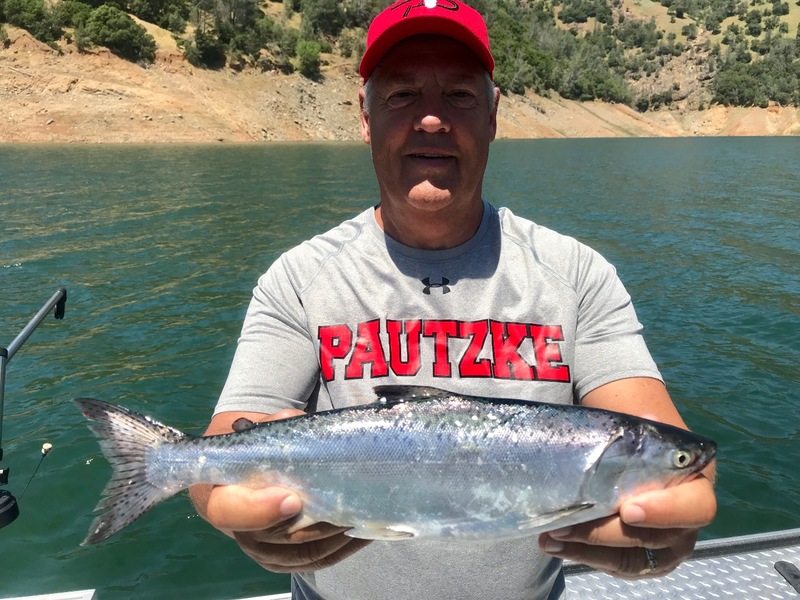 Ron Shaffer admiring a beautiful Shasta Lake brown trout he caught while rolling Pautzke "Fire Brine" shad! 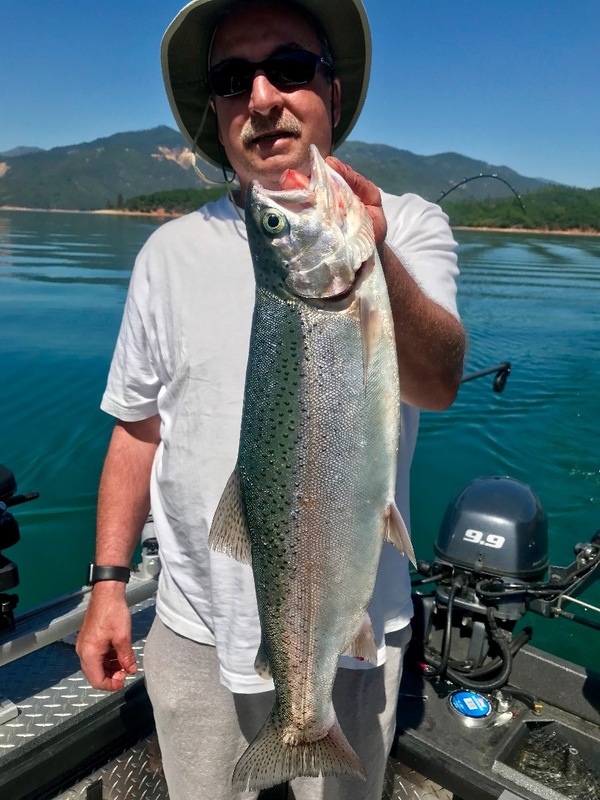 I fished Shasta Lake yesterday and found a tough bite again. I had two trips yesterday and each had its moments, but we had some long periods in between bites. 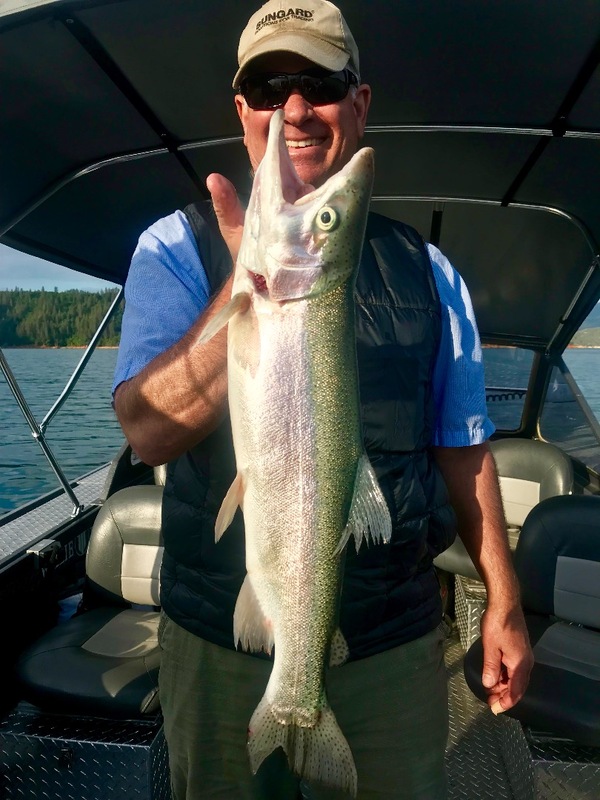 We're still managing to land some great fish, but the numbers just aren't there as of yesterday. 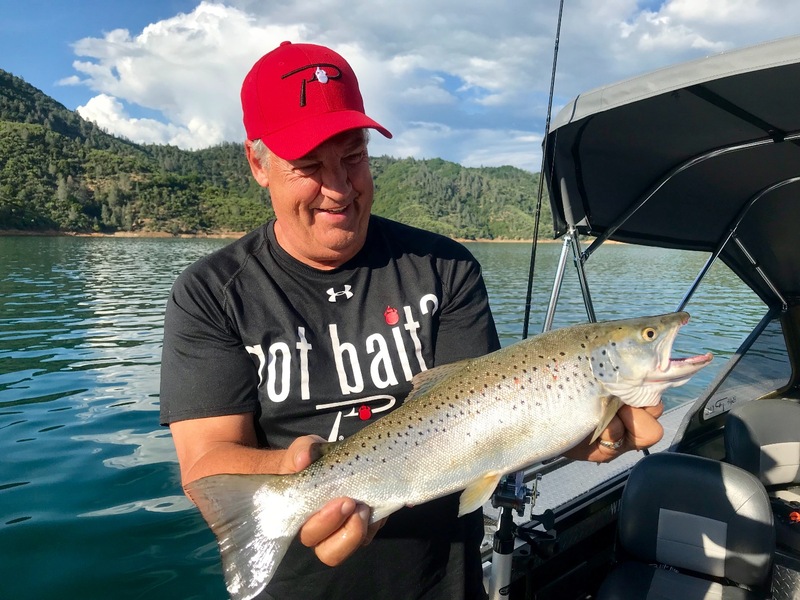 The only real change we're seeing is the presence of more and more bait in the main body of Shasta. Its just a matter of time before the bite really turns on. 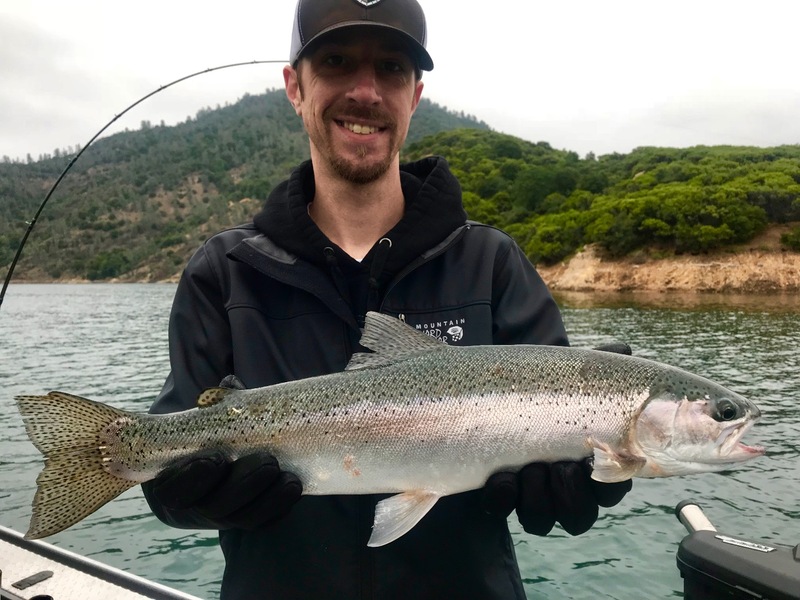 Tough bite today on Shasta Lake. Trout bite slowly improving every day!